Cleaning a smoker’s home is a difficult proposition, especially renovating a property that you inherited, or dealing with the fallout from a smoking tenant in a non-smoking property. It’s the kind of job you want to leave to the professionals. They have the experience to deal with smoke damage to every surface, paired with the technology to back it up. Don’t try to mask odors and end up dealing with a series of temporary owners. Instead, have smoke odor removal completed professionally. 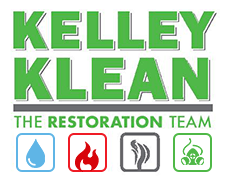 Contact a professional restoration company and destroy odor at its source. One of the man reasons to hire a professional cleaning crew to handle a smoker’s home is that it won’t be a small job. Even renovating an apartment is a huge task. The residual smoke odors seep into everything, from the paint to the drapes, to the carpet and beyond. Months or years of smoking won’t come out of the home easily. Thankfully, a professional crew works efficiently to restore the home to its best condition in possibly years. Amateurs can’t compete over the long haul, and every smoker’s home is a long haul of smoke odor removal. There’s no amount of air freshener that can perk up the inside of a smoker’s house. Air fresheners are designed to mask odors, not eradicate them. You may not notice the smell for a while, but eventually, the smoke odor returns, always outlasting anything you put on top of it. However, professional cleaning with a restoration company works smarter, not harder. They actually perform smoke odor removal, not masking. Modern cleaning technology allows restoration companies to tackle a foul odor at the source, right down to the molecular level. Breaking those bonds dissipates the smell, resulting in a cleaner, fresher apartment. It’s a lot better than just having the illusion of one. Odor is a significant problem with any smoker’s homes. Before taking care of it, it most likely holds all of your attention. However, once you handle the odor problem, other issues come into focus. Because smoke builds up over time, the property will also suffer from dinginess and stains. A professional cleaning strips that all away, making “frosted” windows shine like new. It also removes the buildup of smoke residue from walls, appliances, and carpets. A professional restoration team can assess what it would take to turn smoke damaged upholstery, furniture, and more into clean and useful pieces. In some cases, you save more money by replacing the damaged furniture. Restoration of a smoker’s home is never easy, but not impossible. Professionals use the right technology to combat odors. They even find out what it would take to make the rest of the apartment like new, and then let you make the call to replace or restore. They’re also equipped to handle a job as challenging and complex as restoring a smoker’s home. Smoke odor removal is a challenge, but they’re up for it.